That belief has permeated everything the studio has lent their time and talents to, including the widely acclaimed 2007 title, “Heavenly Sword”. Published by Sony Computer Entertainment exclusively for the PlayStation 3, Ninja Theory’s work scored them a 2008 Escape Award for “Best CG in Games”, and five Develop Industry Excellence Awards nominations the same year for Best New IP, Visual Arts, Audio Accomplishment, Technical Innovation, and Best Independent Developer. Formed in Cambridge England, in November of 2004 by Nina Kristensen (Chief Development Ninja), Mike Ball (Chief Technology Ninja), Tameem Antoniades (Chief Design Ninja) and Non-Executive Ninja, Jez San OBE, the Ninja team also comprises Lead Audio Ninja Tom Colvin and Darren Lambourne. 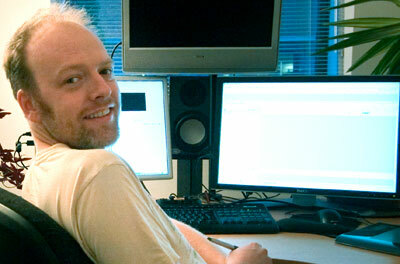 Colvin, who joined Ninja Theory in 2005, had previously served as a freelance sound engineer and producer for game developer Climax, working on projects including the Xbox title, “Sudeki”. He and his team at Ninja worked closely with Nitin Sawhney and the Foley artists from Play It By Ear—who created the sounds for the breakthrough 2000 film “Crouching Tiger, Hidden Dragon”—to produce a compelling sonic experience within “Heavenly Sword”. Because of the collaborative nature of the creation process, it was key to have simpatico audio systems in each of the studios. Colvin and Lambourne both utilize Blue Sky systems in their daily workflow—Colvin on a Pro Desk 5.1 system and Lambourne using a Blue Sky BMC II in conjunction with Adam Audio monitors. Colvin’s two main sources are a PC DAW, and the Xbox and PS3 devkits. 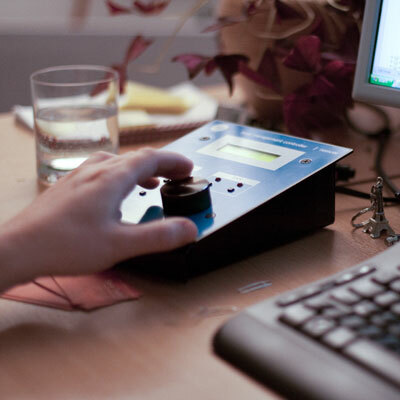 The devkit audio is decoded by a Denon A7100, and he has a Coleman 5.1 switchbox to swap between the PC and devkits. The PC has a fireface 400, which also routes a ProTools LE rig via the ADAT input. The team is currently at work on “Enslaved”, in development for both the PlayStation 3 and Xbox 360, and which will be published by Namco Bandai Games.